Heddon Close greets first tenant. 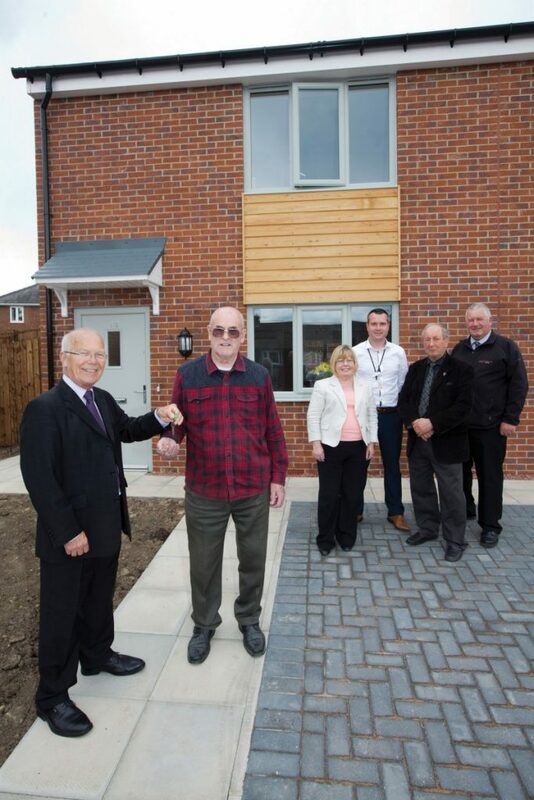 Housing association Keelman Homes Limited’s development at Heddon Close has welcomed its first tenant. The quality affordable homes for rent were built in partnership with housebuilders Esh Group and the Homes and Communities Agency. Construction work at Heddon Close began in August 2015 on the six properties, which are a mixture of two-bedroomed houses and apartments. The properties are managed by The Gateshead Housing Company on behalf of Keelman Homes Limited. Photo (l-r): Brian Kelly, Daniel Boden, Cllr Liz Twist, Housing Manager Ian Burton, Cllr Alex Geddes, and Ian Swainston from Esh Group at Heddon Close.